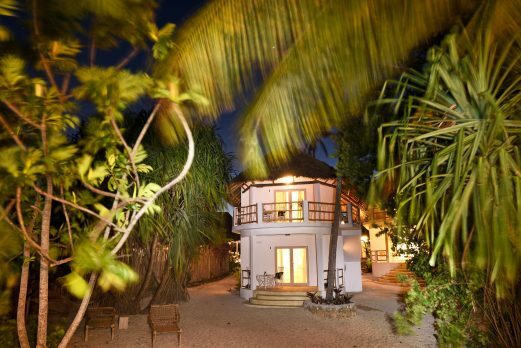 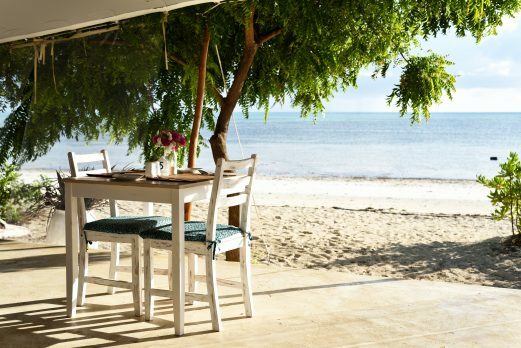 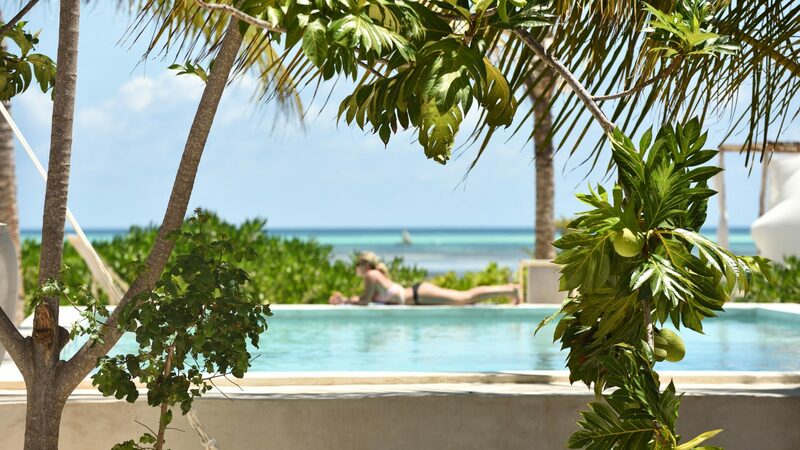 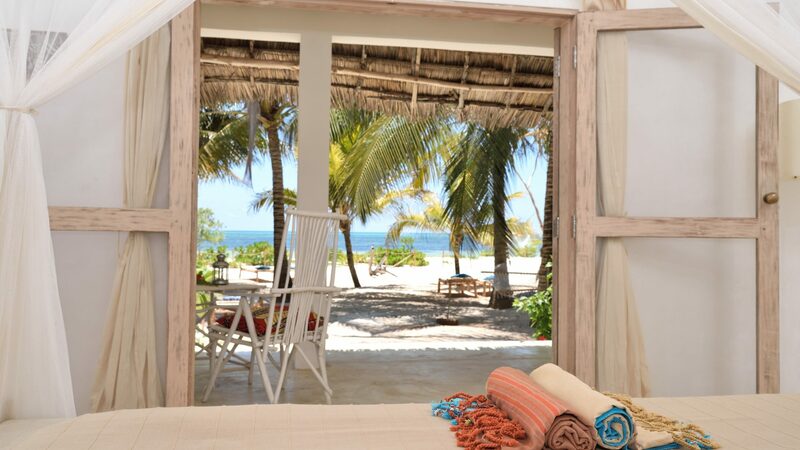 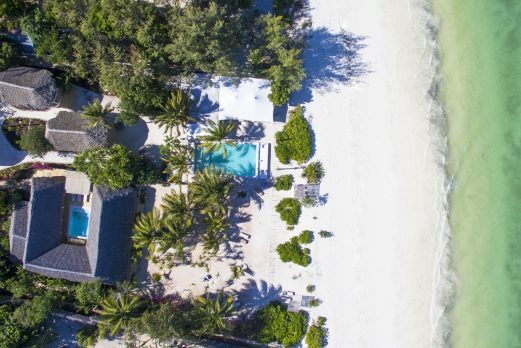 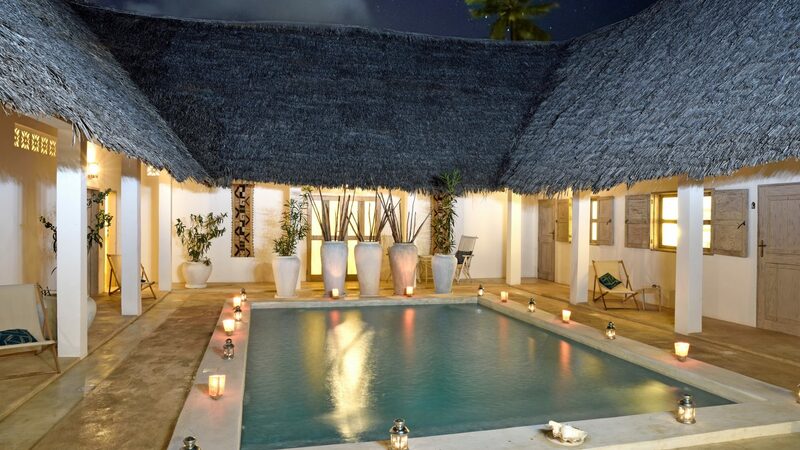 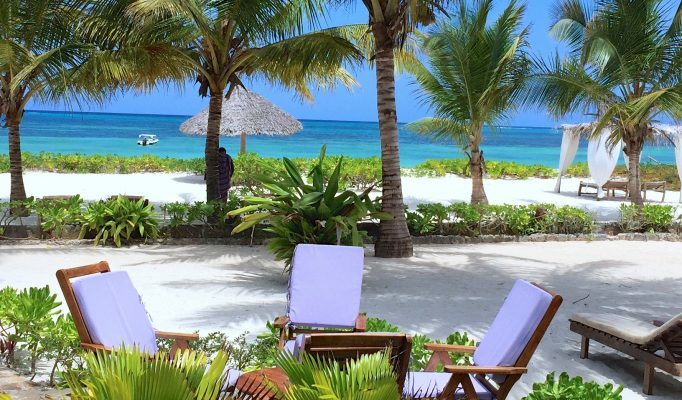 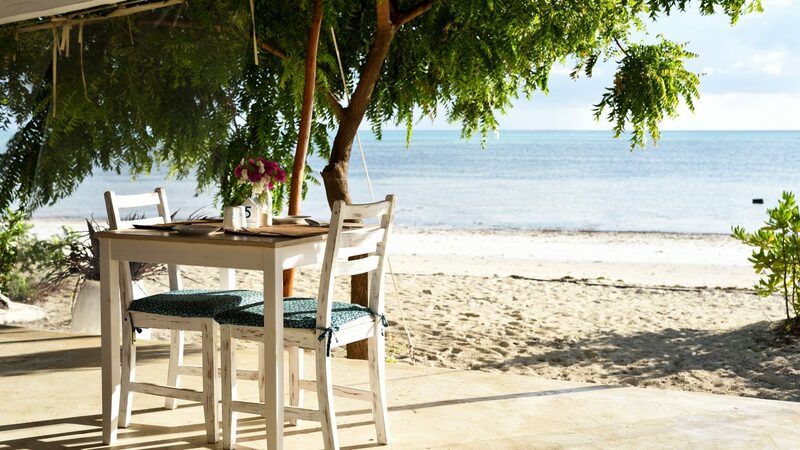 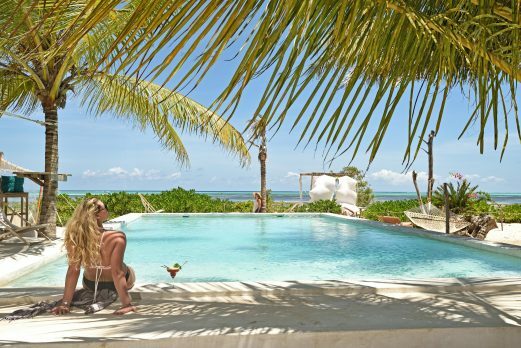 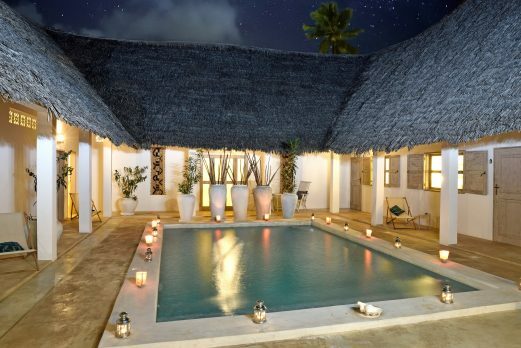 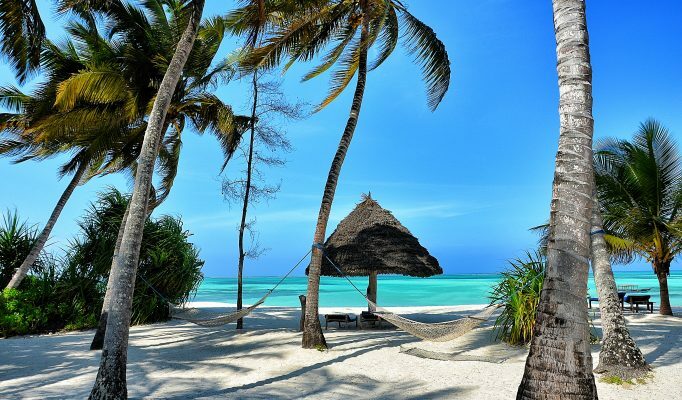 A charming boutique hotel located on the stunning Jambiani beach along the south east coast of Zanzibar. 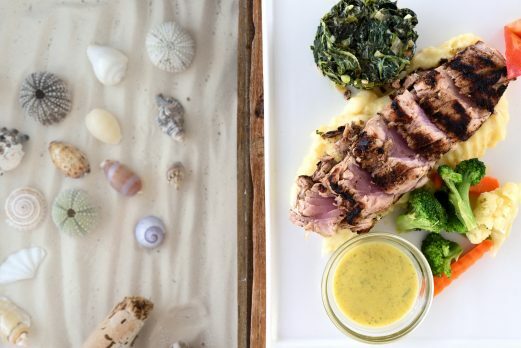 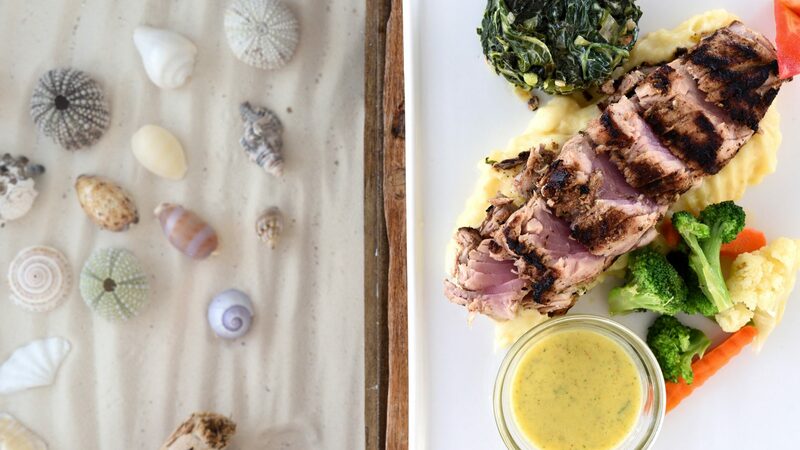 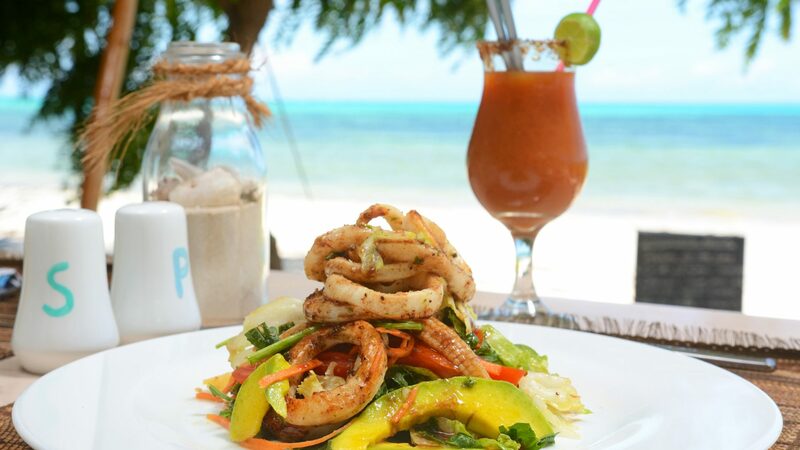 There is very much a relaxed vibe at this cool little spot with excellent cuisine and fun beach atmosphere. 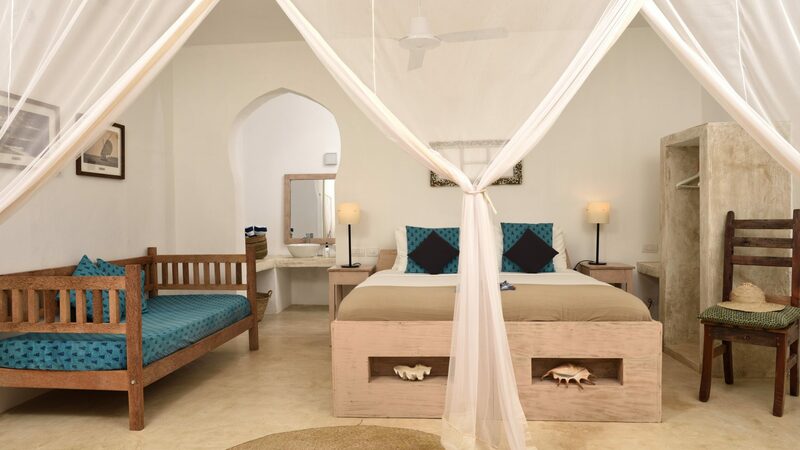 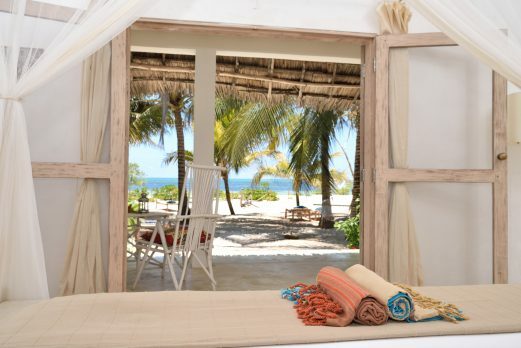 The interiors are bright and airy and maintain a Swahili chic look across the hotel. 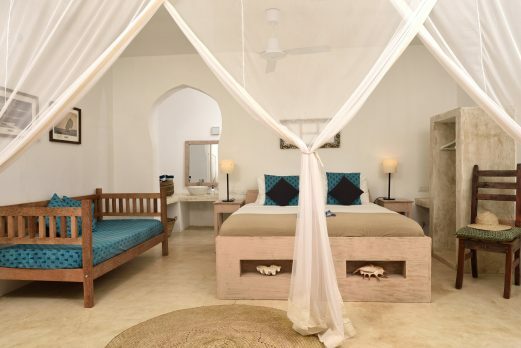 Sharazad comprises a main villa split into 6 rooms: 3 sea view, 2 garden rooms and a pool facing room (this can be booked on its own for larger parties). 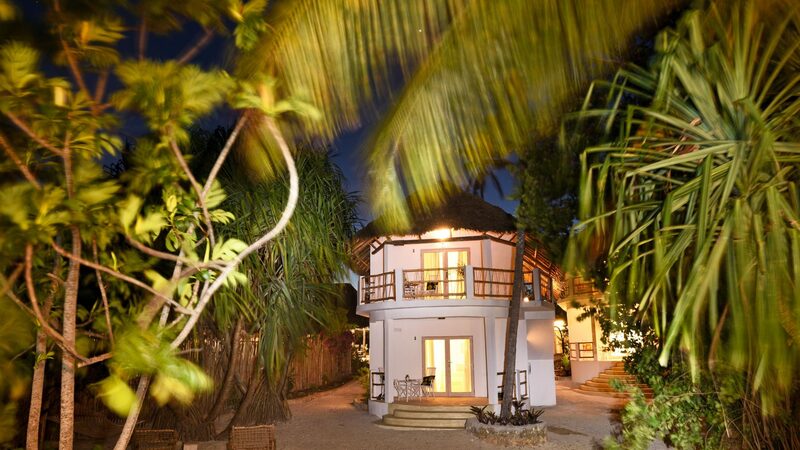 There are also 3 double storey ‘bungalows’ with their own private gardens and a 2 bedroomed apartment which can be rented on a self catering basis. 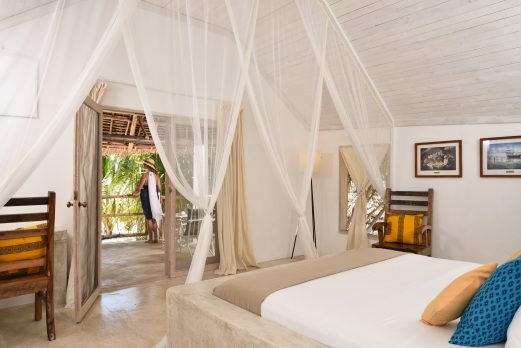 Rooms have en suite bathrooms, ceiling fans and large beds with mozzie nets. 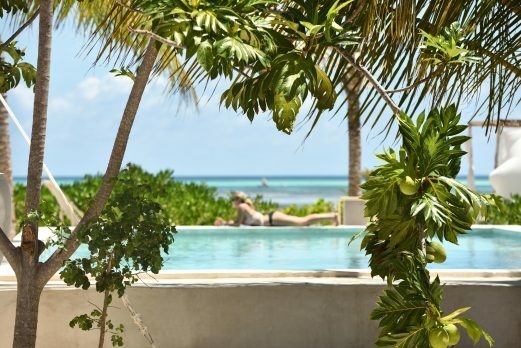 The hotel centres around a lovely little pool, beach bar and restaurant right by the beach. 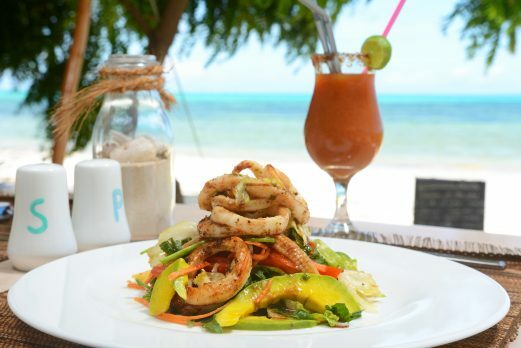 The restaurant has built up quite a reputation for excellent cuisine and friendly beach bar and attracts non residents as well as guests who enjoy the fun atmosphere. 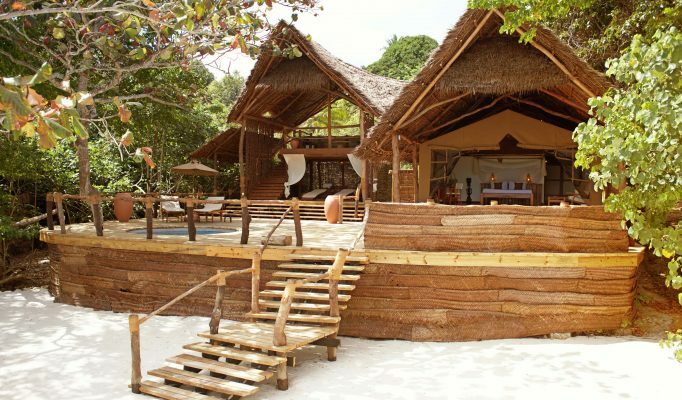 This is a cool little spot and a new favourite of Safari&Beach. 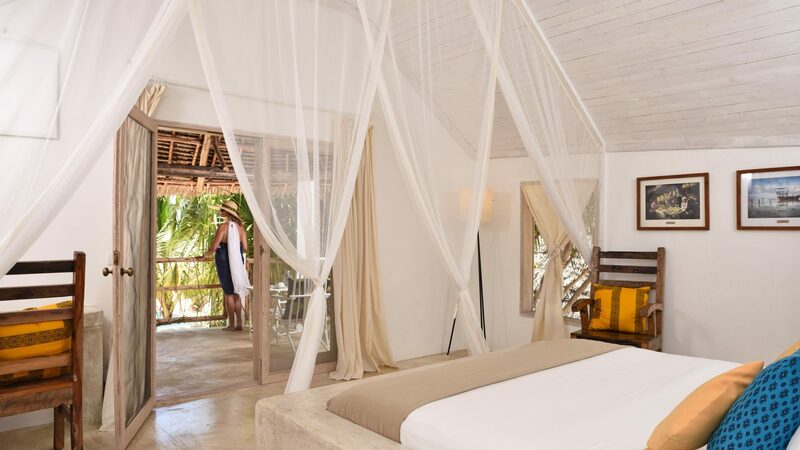 As well as the excellent bar/restaurant, we love the little touches like kikoys, beach bags and panama hats available for guests’ use during their stay.